Explore the Natural beauty of Blimbing village with Experience Bali Cab team driver. Bali is small tiny island on behalf of Republic of Indonesia, Bali also the name of the largest island that is part of the province. In addition to comprising the island of Bali, the province of Bali also consists of smaller islands around it, namely Nusa Penida Island, Nusa Lembongan Island, Nusa Ceningan Island and Serangan Island. Pupuan Subdistrict is one of 10 Districts in Tabanan Regency, which is located on the island of Bali, located approximately 45 Km in the West of Tabanan Regency. Pupuan District is a very potential area to be developed in agriculture and plantations, because in addition to fertile land, the rainfall is quite high and the area consists of extensive agricultural and plantation land. Pupuan District is divided into 14 Service Villages. One of the service villages in this sub-district is Belimbing Village, which has become a tourist village. The declaration of Belimbing Village as a tourist village was marked by the signing on canvas by the Regent of Tabanan, UN-WTO and other related components. But the Belimbing Tourism Village is still very little visited by tourists. Tourist visits increase every year, but in a relatively small amount, it can be concluded that Belimbing Tourism Village has not been maximal to attract tourists, so there is a need to develop to increase the number of tourist visits. We are as part of the tourism industry is ready to share about this object, please contact Bali Cab Driver office to get the information and book our Bali Car charter with English speaking driver to discover this spot. Tabanan Regency does have the largest rice field area in Bali, which is why the district is known as Bali’s rice barn, Belimbing village is one of them, being a place or location of wide-spread terraced rice fields, so it is not surprising the main livelihoods of Belimbing villagers are farmers. 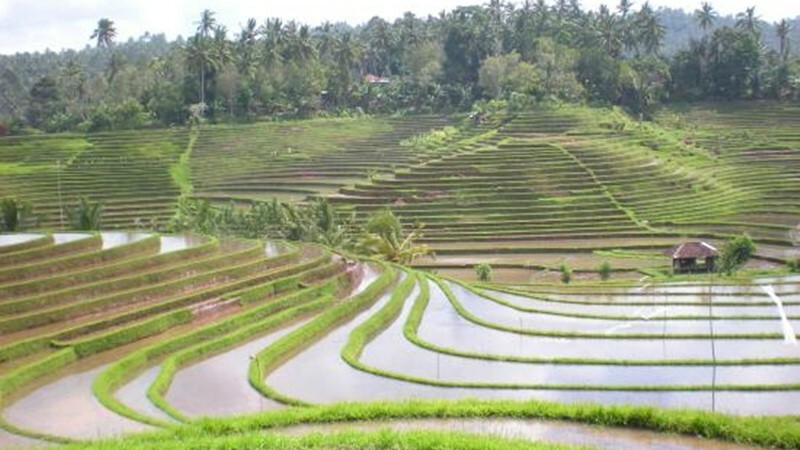 Belimbing Village is now developing into a tourist village in Bali that presents a comfortable and quiet rural nature, of course, also with the amazing natural beauty of terracing rice fields, it will become a mandatory tour destination when you plan to vacation in the area of ​​Tabanan Regency. Belimbing Village is not very popular compared to Tegalalang and Jatiluwih attractions, but believes the beauty of the terraced rice fields offered in Belimbing village can be compared to the two popular tourist attractions, especially in this place the atmosphere is more calm and peaceful because there are still visitors this place. If you need a quiet place, away from the hustle and bustle of the city, then you can enjoy the other side of the island of Bali, Belimbing village will be able to provide a different holiday experience for you. Belimbing Village is at an altitude of 500 – 600 meters above sea level, so the village area is quite cool, making various tropical plants grow well in Belimbing village, so it is not surprising that the impression of green will be felt when you are here, especially accompanied the natural beauty of its terraced rice fields is very eye-soothing. The area of ​​Belimbing village itself has a hilly character with a valley drained by a number of rivers, in addition to the stretch of rice fields in this village there are also plantations such as clove, cocoa, and vegetables. There are many things that you can enjoy in Belimbing village, Pupuan, besides rice fields there are also two waterfalls which are also tourist destinations namely Singsing Sade waterfall and Singsing Benben waterfall, trekking enjoying the peaceful rural atmosphere accompanied by a stretch of terraced rice fields and continuing watching a waterfall tourist attraction, will provide a complete experience when you schedule tours and tours with the aim of Belimbing village, so this Belimbing Village is now being developed into one of the tourist villages in Bali. Belimbing Village, Pupuan has 8 banjar areas including; Belimbing Desa, Banjar Beniti, Tegal Belimbing, Pemundungan, Belimbing Anyar, Blahtibah, and Duren Taluh and Suradadi all offer amazing rural nature, the farms and plantations owned by Belimbing village become a mainstay for the economy in this village and make it a tourist village that deserves to be enjoyed by tourists. Meanwhile, tourists who come to Belimbing village are more predominantly foreign tourists, but slowly this area has begun to be known including in the future domestic tourists will make Belimbing village a mandatory tour destination in Bali. Belimbing Village is still rarely visited by tourists, so to promote it also seems quite important, unfortunately this good tourism potential is just passed away. Currently there are still not many travel agents, tour guides or tour guides who direct their tour to this place unless there is a direct demand from tourists, perhaps because there are not too many popular tourist destinations in the direction of Belimbing village in Pupuan. Those of you who like trekking enjoy this beautiful natural beauty, Belimbing tourism village is ready to give you the best choice. To find this place, if you plan to go to North Bali or Buleleng Regency, through Pupuan sub-district, you will cross the Antosari – Pupuan maind road. 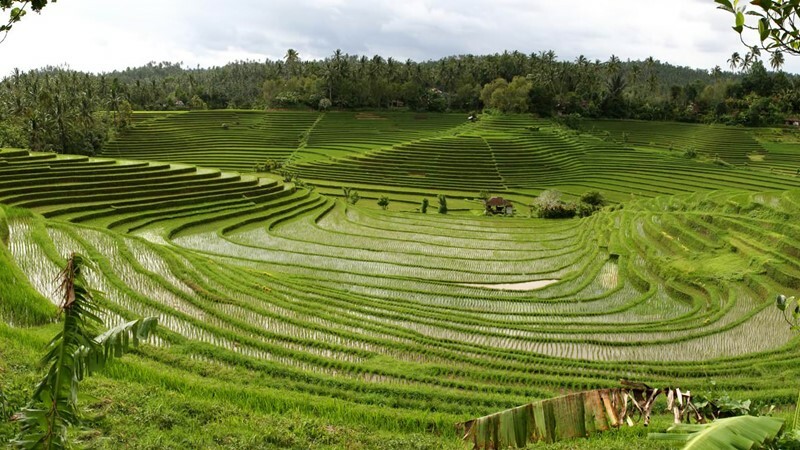 If from the direction of Denpasar about 50 km, entering the Belimbing village area you will be greeted by a stretch of terraced rice fields, ready to make you amazed. In this area a number of tourist objects are located in the same direction including the Sleeping Buddha Statue at the Vihara Dharma Giri Pupuan, the Mekori Sublime temple and the Shiva Temple which is a place of worship for Hindus. What other object can be visited combine with Blimbing village ?